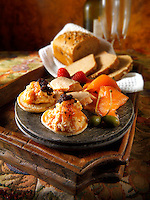 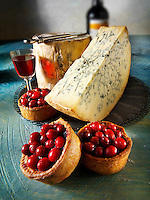 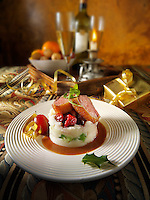 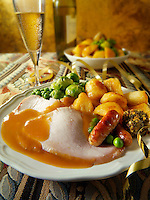 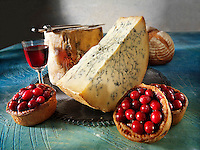 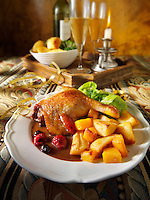 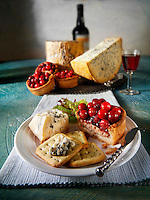 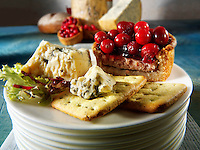 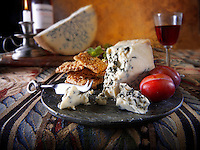 Christmas Food pictures, photos &images. 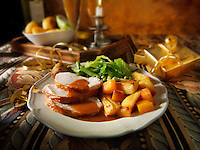 Early Christian made the festival of the birth of Jesus Christ line up with the pagan festivals of the winter solstice. 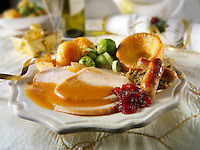 Christmas is one of the most important Christian festivals where feasting and the giving of gifts are at its centre. 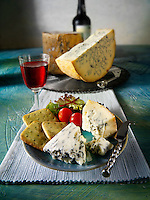 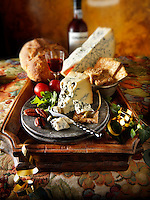 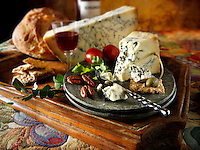 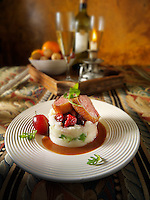 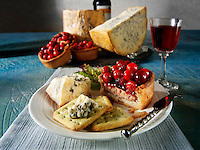 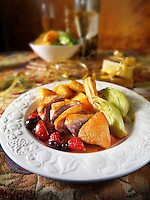 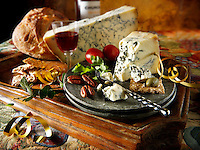 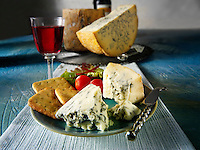 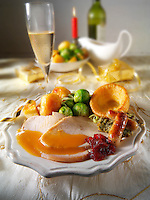 All of Europe, apart from the British Isles and Irelnd, clebrate Chritmas on Christams Eve night with a big meal. 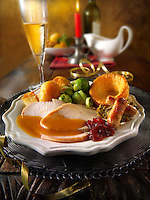 In Eastern Europe Carp was traditionally served served whist in Britain the tradional Christmas meal revolves around Turkey. 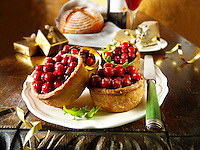 Christmas occurs in the depths of winter in the northern hemisphere, so traditionally fresh fruits would have been unavailable. 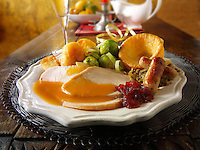 This led in Britain to the developing 3 traditional Christmas dishes that were made of dried fruits, the christmas cake, the mince pie and the Christmas Pudding. 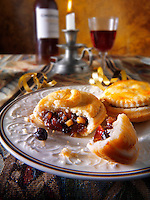 One of the highlights of a traditional Christmas is the mince pie. 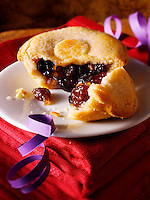 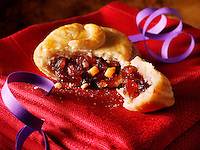 Today the small round mince pie is a spiced rich fruit, short crust pastry pie. 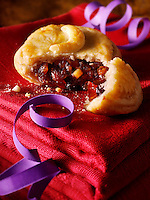 Like a lot of Christmas traditions the mince pie is a bit of a mysterious thing to the uninitiated. 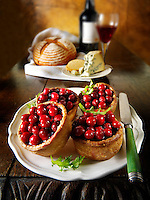 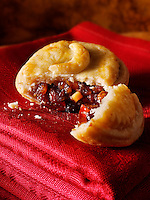 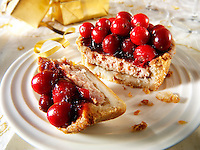 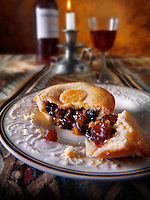 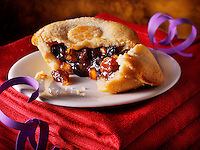 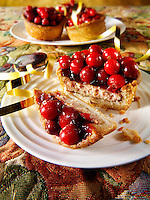 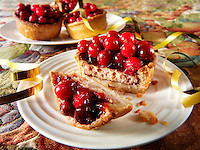 Its light short crust pastry case is filled with mincemeat which rather confusingly does not contain minced meat but a mixture of currants with exotic dried fruit peels, cinnamon and mace lashed with a splash of Brandy. 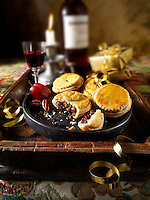 Its hard to imagine how such a rich exotic delicacy came to be a centre piece of British Isles cold Christmas festival. 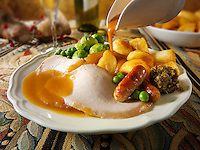 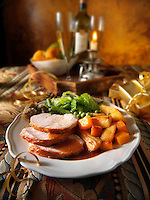 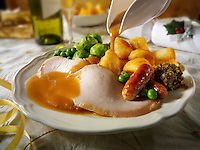 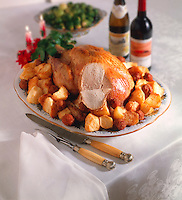 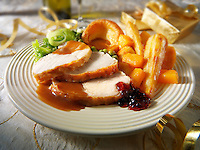 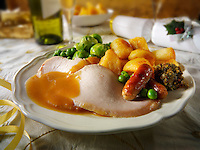 At the heart of the Christams meal since the 19th century in Britain is the Turkey. 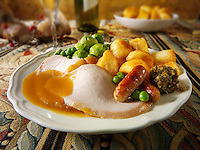 The Goose was once the bird of choice but whatever the roasted meat it is served up with roast potatoes, stuffing, yorkshire puddings, cranberry sauce and brussel sprouts. 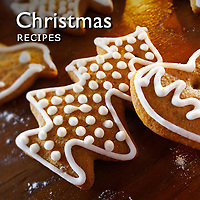 Throughout Europe Christmas biscuits are populer which are spiced with cinnamon and ginger.